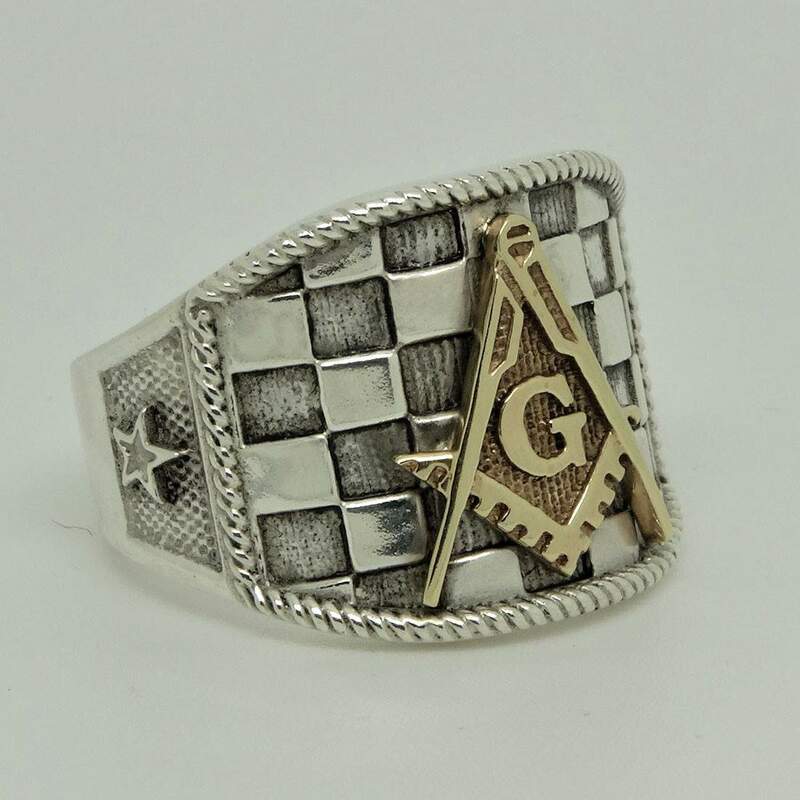 SKU: SG-015. 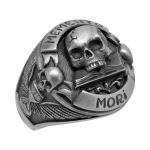 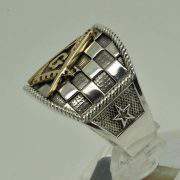 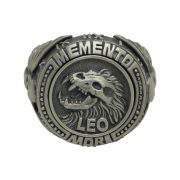 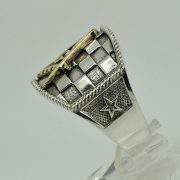 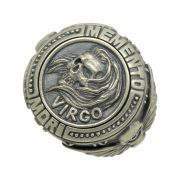 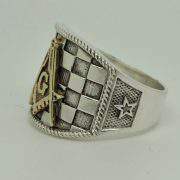 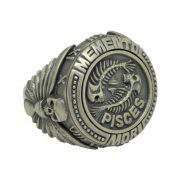 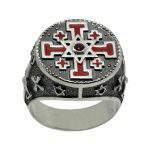 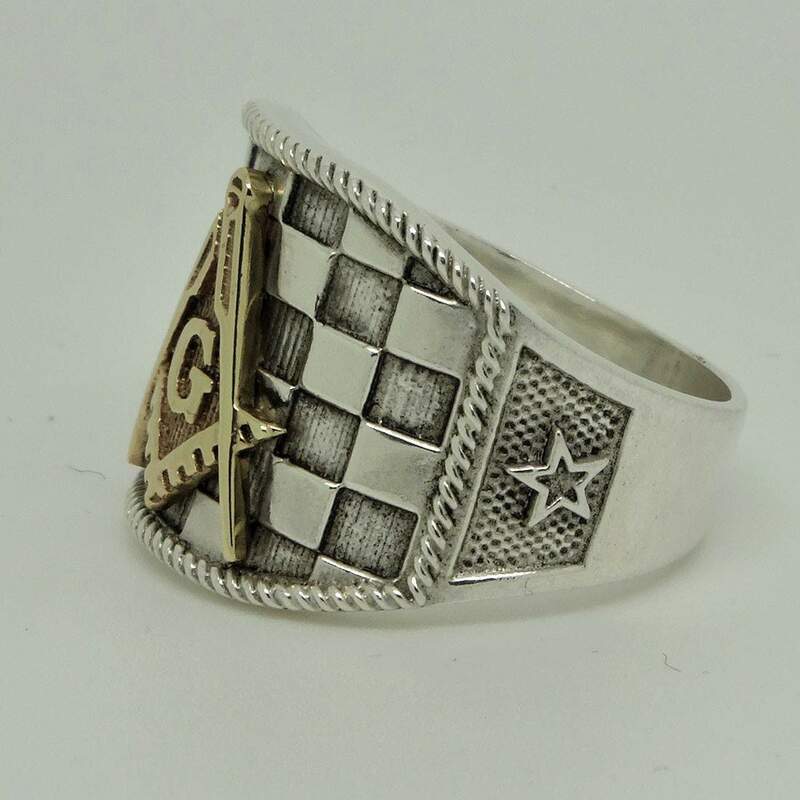 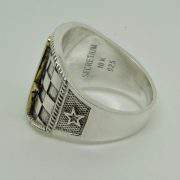 Categories: TEMPLAR RINGS, MASONIC, BIKER RINGS. 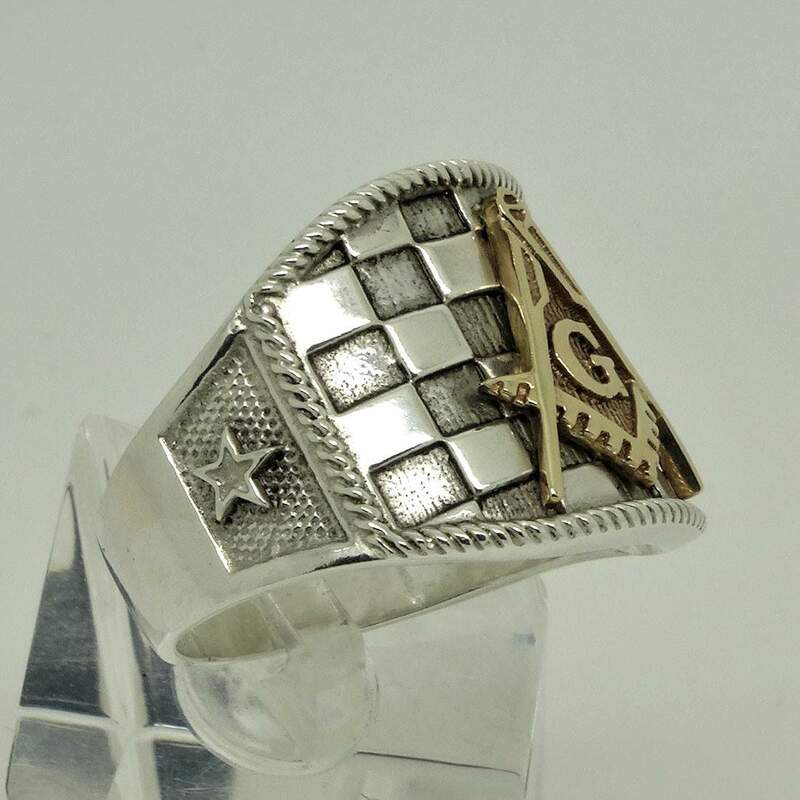 Fabulous signet style Masonic men’s ring is made of 925 sterling silver and 10K solid yellow gold. There is a very detailed and an intricately designed cigar band frame, which makes the ring an extremely rare and attractive piece. 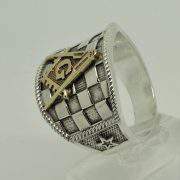 The face of the ring is made of checkered background which is very emblematic of human life, checkered with good and evil. 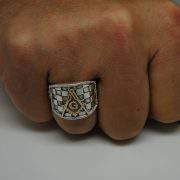 The concept of duality has played a part in Masonic symbolism since the early days of the fraternity. 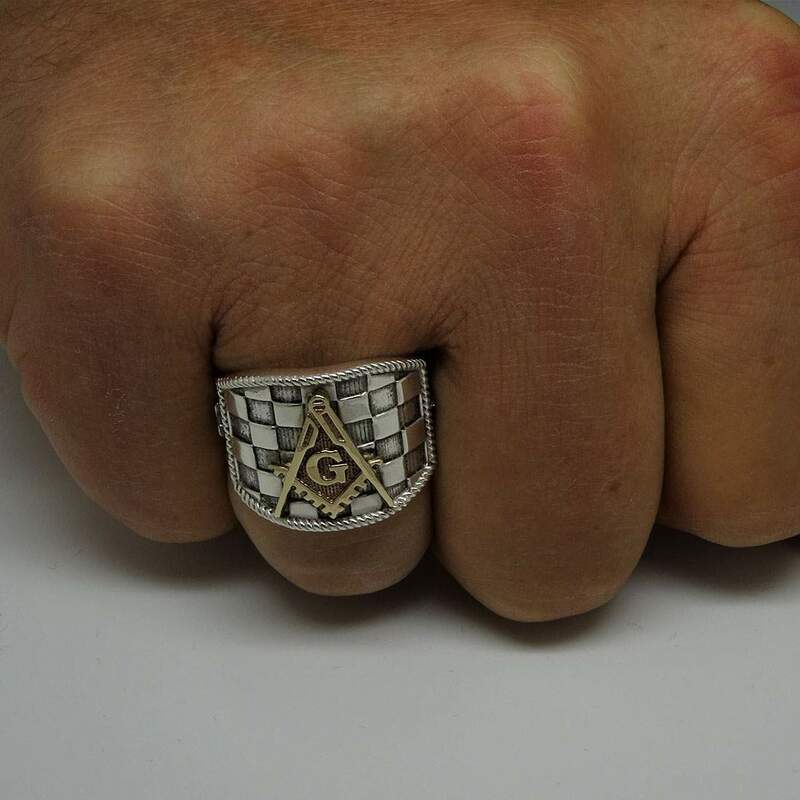 While duality is not often discussed in the ritual of the Blue Lodge, the Scottish Rite mentions this concept numerous times. 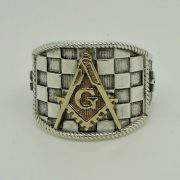 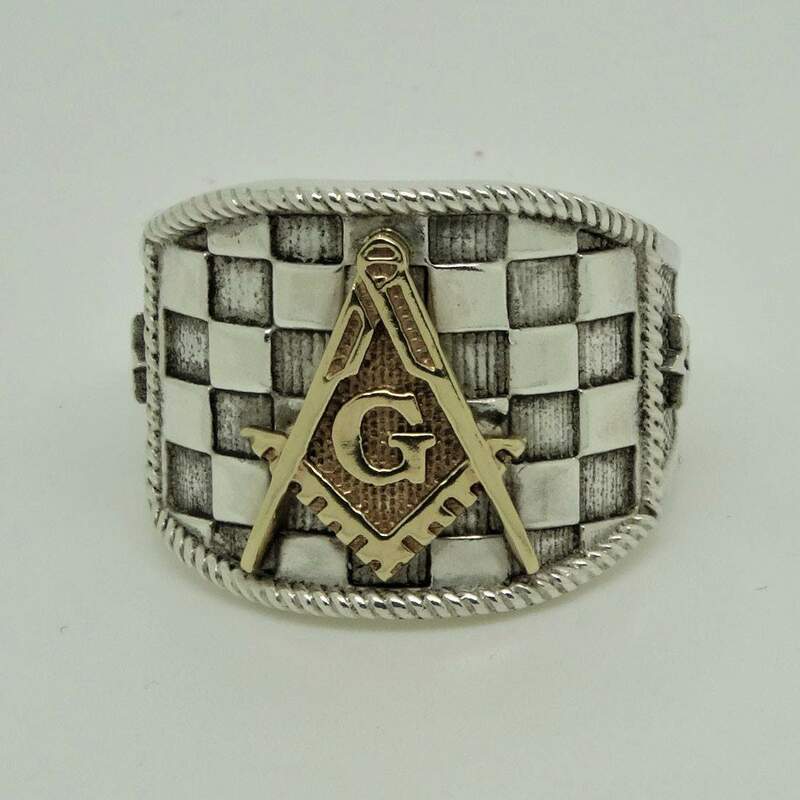 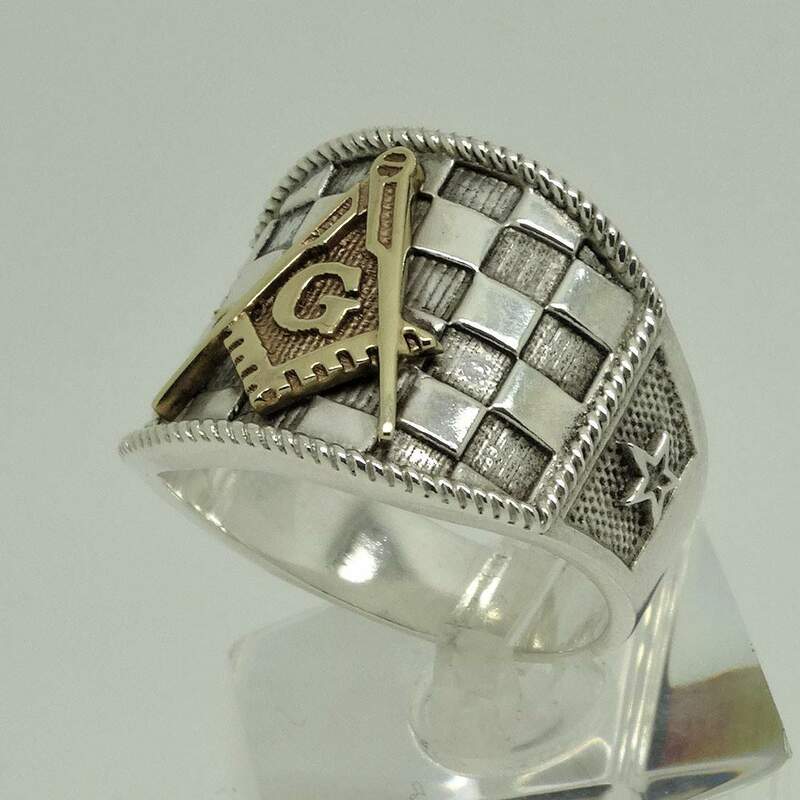 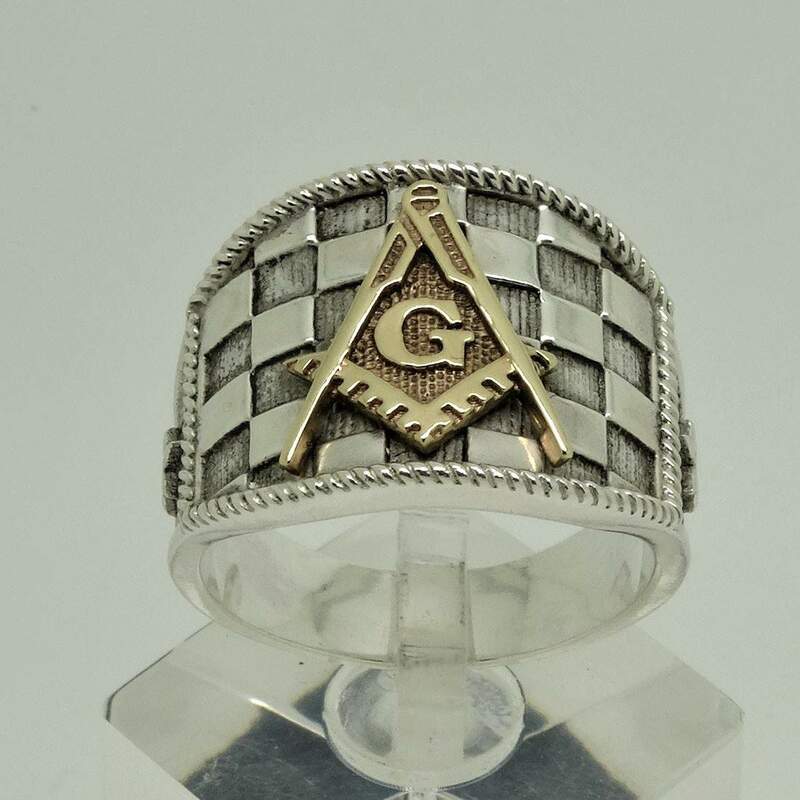 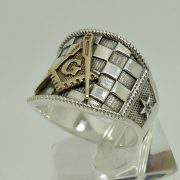 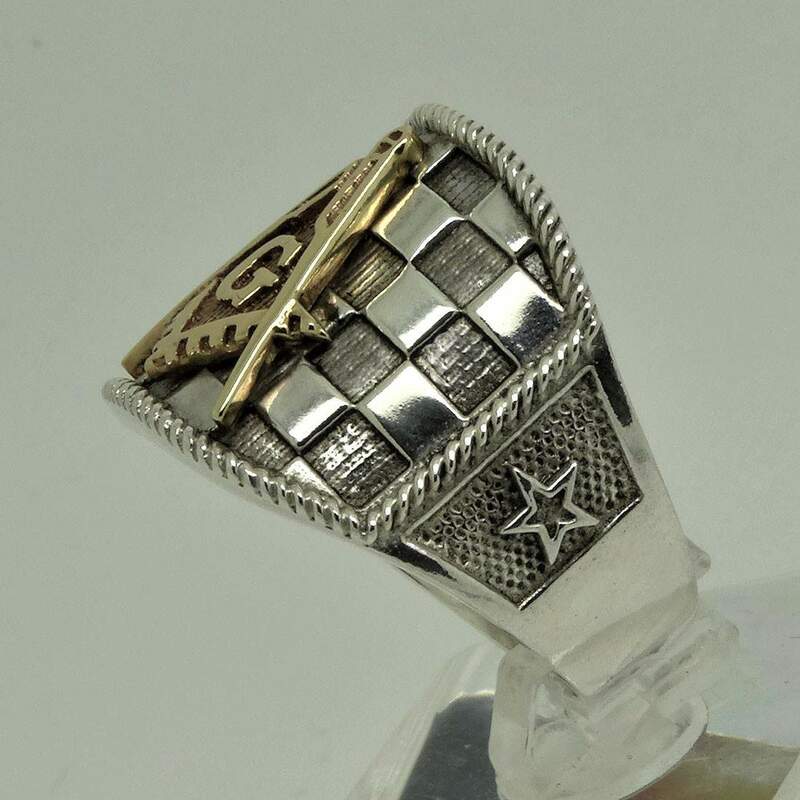 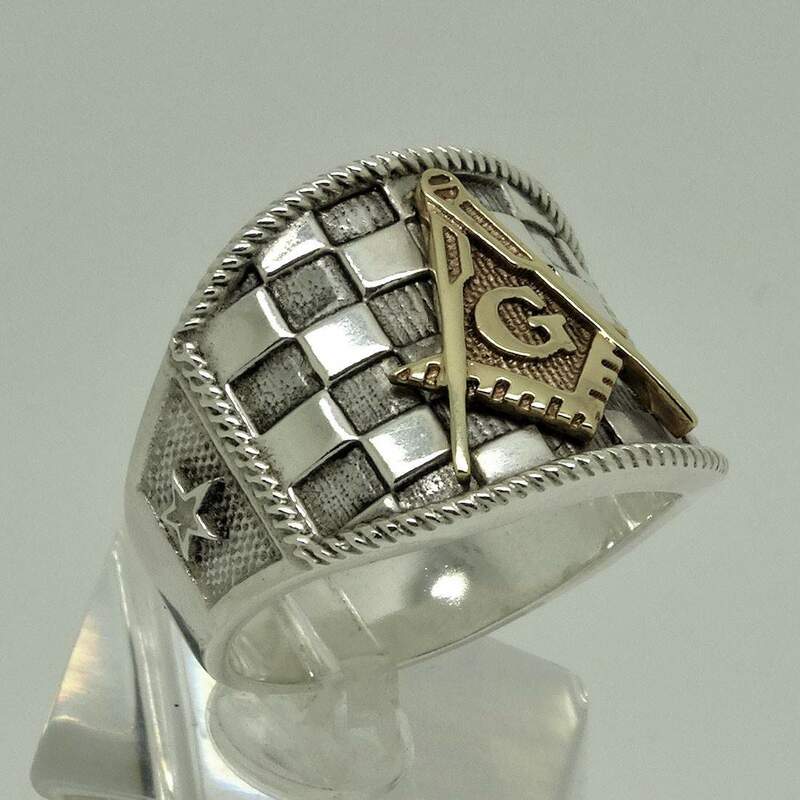 The Top of the ring features the letter “G” locked in the middle of the square and compass which is one of the most prevalent and ancient emblems of the Masons. 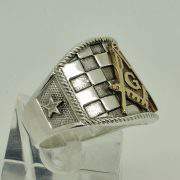 The image of the Blazing star is placed on each side of the ring. 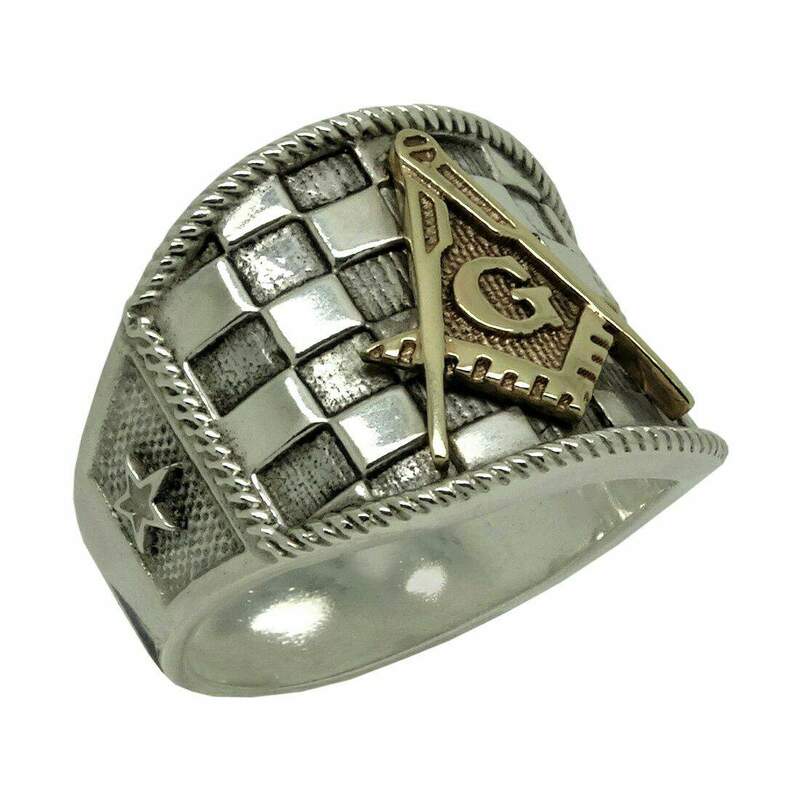 The Blazing Star is one of the most important symbols of Freemasonry, and makes its appearance in several of the Degrees. In some of the degrees the star is a symbol of truth. 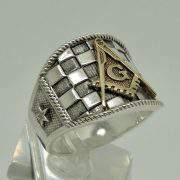 Weights around 14-16 grams depends on the size.